Atlantic Health System Heart Care provides the same high quality cardiovascular care found at other nationally-recognized medical centers, but in the comfort of community hospital settings. 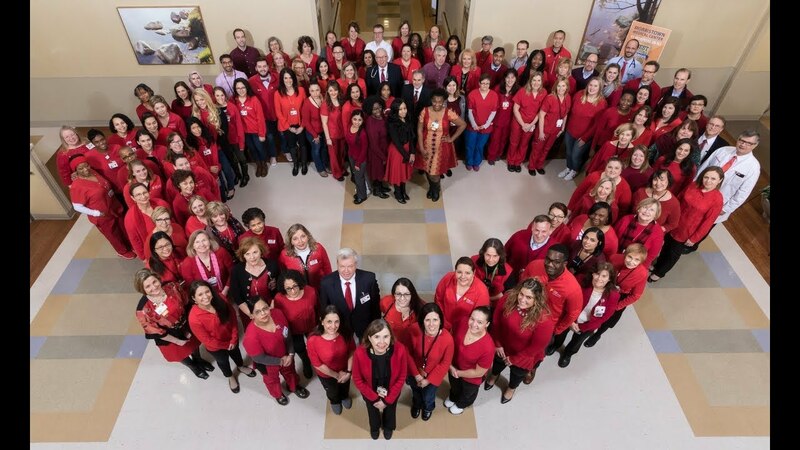 Home to the largest cardiac surgery program in New Jersey and ranked one of the top 20 hospitals in the nation for cardiology and heart surgery by US News & World Report, Morristown Medical Center’s Gagnon Cardiovascular Institute serves as the hub of Atlantic Health System Heart Care. Patients from Chilton Medical Center, Hackettstown Medical Center, Newton Medical Center and Overlook Medical Center are seamlessly connected to Morristown when advanced cardiovascular care is necessary thanks to an infrastructure that includes helipads and ambulance transport and an electronic health record system that allows physicians to share health records in real time. In addition, pediatric cardiology services are available at Goryeb Children’s Hospital, located on the Morristown Medical Center campus. "They gave me more time." Performing more TAVR procedures than any other hospital in the state, Morristown Medical Center is poised to continue leading innovations in valve repair for years to come. Within our advanced cath labs, we’re able to perform transradial catheterization, which uses the wrist as a point of entry to minimize bleeding and speed recovery time. Morristown Medical Center has expanded this approach, performing 36 percent of all catheterization procedures transradially in 2017. We understand that women have unique cardiovascular health needs. Our program provides gender-specific care to those with known or suspected heart disease. Atlantic Health System Heart Care’s state-of-the-art cardiovascular imaging can find the root cause of a heart condition before it escalates into a medical emergency. We offer nuclear cardiology, echocardiography and cardiac magnetic resonance imaging, among other services. Atlantic Health System Heart Care participates in dozens of clinical trials each year, giving our patients access to the latest technology and medications sooner than available to the general public. Our cardiac researchers frequently present their findings from these studies at key medical meetings around the globe.